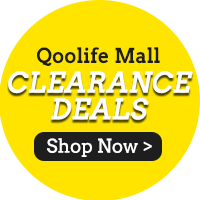 「Qoolife Mall」- [NESTLE] BUY 5 PACKS OF MILO® PENG [6x225] AND GET FREE UNDER ARMOUR TEE. Nestle[NESTLE] BUY 5 PACKS OF MILO® PENG [6x225] AND GET FREE UNDER ARMOUR TEE. Highly Recommend milo fan here!! my whole family loves milo cus we have been drinking it since young! and now there a free UA shirt also! a very worthy buy! Items received as described by the seller. Repeat order and this is my 2nd purchase. Cheaper as compared to buying from supermarket and fast delivery too. Comes with a free gift as well. Good buy. Any restock for Milo Peng? Thanks. where is the 30% coupon? Hi there, there is no 30% coupon. Item will be restocked however we are unable to advise on the exact expiry date. Do note that it will be far as stocks are fresh from Nestle Singapore.